That's just brilliant. I want a necklace that's also a seal. I'd feel like such royalty. that's such a fun necklace to have!! 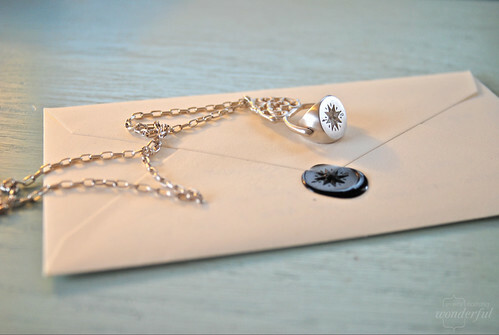 I haven't made a wax seal..ever, but a necklace like that might entice me! I hope it's a letter to me!